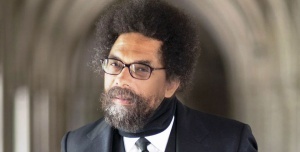 Dr. Cornel West – The Susie Reizod Foundation, Inc.
A professor, theologian, activist and prolific author, Dr. Cornel West has presented the facts of today’s world in terms and forums not only directed toward academia, but also to those of us in everyday life who actually live it. For years he has been unrivaled as a compelling speaker, dynamic philosopher and enlightening activist. Dr. West’s best selling books, “Race Matters” and “Democracy Matters” (only two in an amazing array), brought into the national spotlight his ongoing mission for racial equity and recognition of democracy as a spiritual force. Professor of Philosophy and Christian Practice at the Union Theological Seminary, West is one of America’s most gifted, provocative and important public intellectuals. Dr. West has won numerous awards, including the American Book Award and has received more than 20 honorary degrees. His work has been describes as a”polemical weapon that attempts to transform linguistic, social, cultural and political tradition to increase the scope of individual development and democratic actions.” West’s writing, speaking and teaching weaves together the American traditions of the Baptist church, transcendentalism, socialism and pragmatism.